Product prices and availability are accurate as of 2019-04-17 06:47:16 UTC and are subject to change. Any price and availability information displayed on http://www.amazon.com/ at the time of purchase will apply to the purchase of this product. ALPICAIR is a new inverter technology for cooling and heating systems. 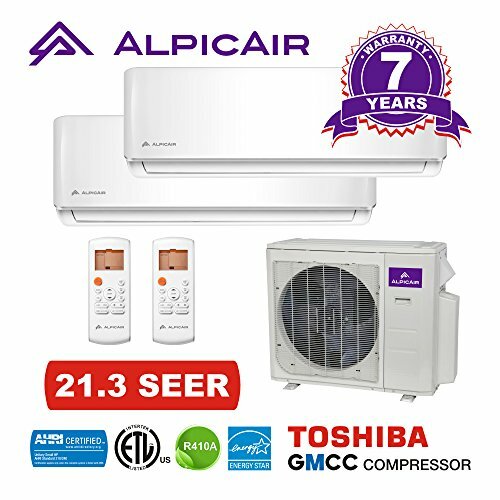 ALPICAIR is a registered brand which combines various air conditioners and guarantees the client an optimal quality-price ratio. A lot of attention is paid to application of inverter type compressor in outdoor units, thus ensuring longer durability and better performance of the devices. 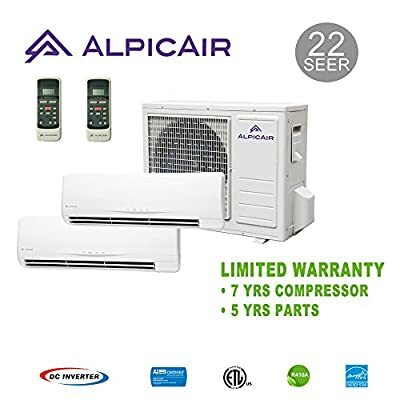 ALPICAIR inverter systems reach efficiencies up to 22 SEER (Seasonal Energy Efficiency Ratio) and 10.2 HSPF (Heating Seasonal Performance Factor). 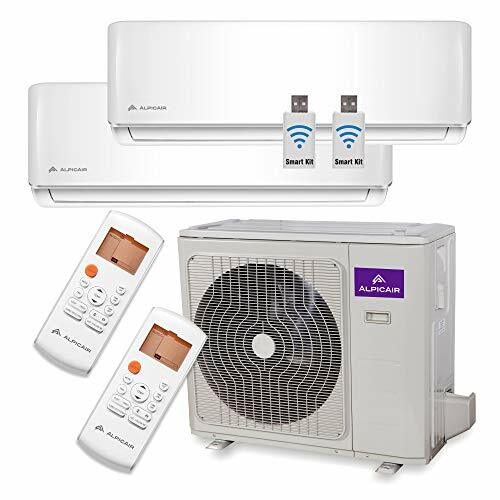 Inverter air conditioners are very quiet because instead of automatically turning off and on every time they reach temperature limits they cruise along adjusting and maintaining the temperature in a consistent way by using different rotation speed. An inverter compressor is programmed to run at optimum speed and it uses 30% less power than non-inverter models that are always working much harder to get back to desired temperatures. 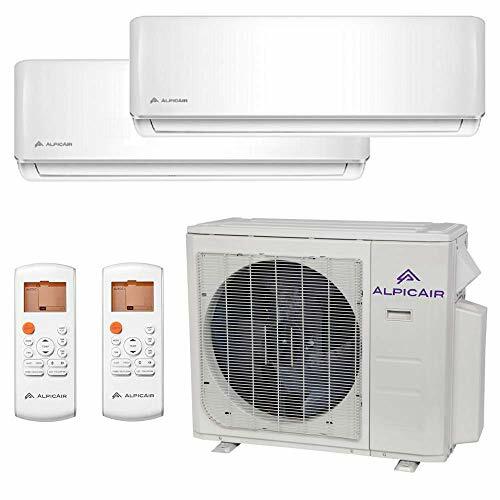 ALPICAIR ductless systems operate on less power - they are smaller than traditional forced-air systems, and because the temperature-controlled air is delivered directly into a room, there is no loss in efficiency. Ductless systems don't have to be professionally cleaned as the traditional HVAC systems. That means they reduce dust, bacteria, pollen, allergens and other particulates in the air. 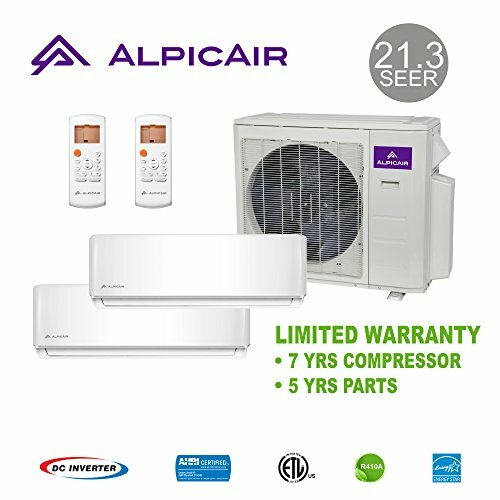 ALPICAIR stylish mini-split systems are made of strong materials and high-grade components. Using brushless DC motors ensures low energy consumption and quiet operation, which helps to save energy and achieve more comfort. At any moment the user can select the most effective and favorable operation mode. LED display ensures a quick overview of the unit operation. The warranty covers only the equipment that is installed by a licensed HVAC contractor. 7 years for compressor and 5 years for the parts. In case of claim proof of licensed installation would be requested. 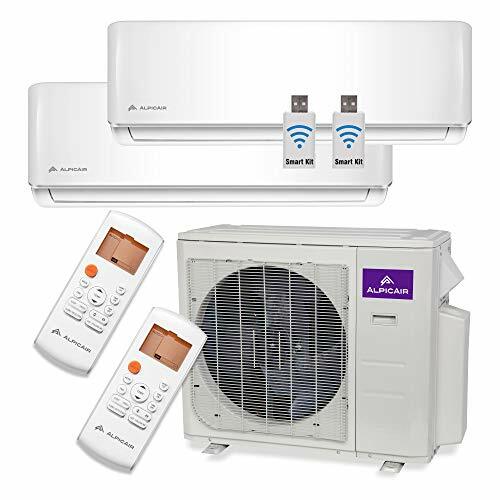 22 SEER Multi Dual-Zone Ductless Mini-Split System 208-230V/60Hz. Refrigerant type R410A Low Ambient Cooling, Super Quiet Operation, Inverter Technology, LED Display, IR Remote Controller (x2) Cooling, Heating and Dehumidifier Function AHRI Certified, ETL Approved Outdoor Unit: AM20-18UHPDC1 (x1) Indoor Unit: AWMI-12UHPDC1 (x2). Line sets are not included. Required size: 1/4'' x 1/2" (x2). Control wires are not included. Required size 14/4 gauge wire.